It is interesting to me with all the news about ISIS and fundamentalist Islam that there are ex-Muslims who feel about Islam what EX-Christians feel about Christianity. 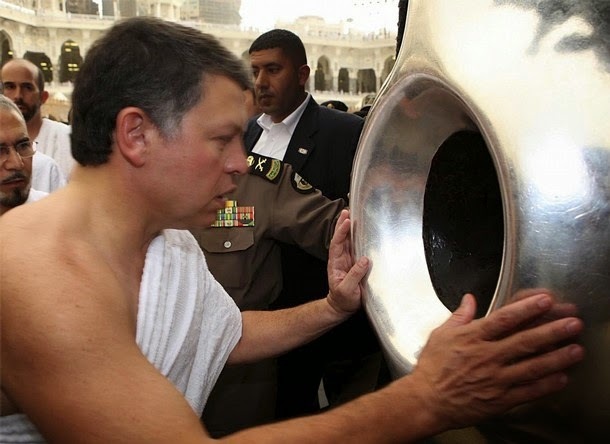 I have been in the process of researching the fact that the famous black sacred stone in Mecca which the Islamic pilgrims circle in worship once per year during their pilgrimage of Hajj to Mecca is in all probably an artifact of Goddess worship once practiced in exactly that same location in pre-Islamic pagan worship days. Holy patriarchy! The good old boys club was once a good old girl hotspot. The article below points outclearly that Muslims who value the truth more than they value religious authority can and do wake upfeeling just as screwed by Islam as some here on ExChristian.net feel screwed by years wasted in Christian fundamentalism. It is kind of like looking in a mirror and seeing a reverse image that issomehow very revealing. Rock ON!